Tucked away under the Hackney Downs station lies a hidden gem called the Anglia Grove Snooker club. One of the last surviving snooker clubs of the area, it still stands strong after 30 years of existence and offers a truly incredible indoor sports experience. The club boasts 8 full size snooker tables, 4 ITSF official competition table footballs, 1 pool table and several gaming machines. Anglia Grove sponsors the LTFC by offering one drink and 1 hour free snooker session to all gold medalists who win a table football tournament in the venue. Anglia Grove Snooker Club is members club, however visitors are welcome and may apply for membership after a few visits. KICK is recognised as the home of babyfoot (French Tablefootball) in the UK. It has 10 BONZINI tables split over two levels and a large regular player base who meets up to play “winner stays on” several nights a week. KICK has been sponsoring the LTFC since the beginning by contributing to the cost of medals and promotion. The staff is extremely friendly and the venue has a distinctive relaxed Latin vibe. As well as offering a great variety of drinks you can also have a really good meal with their Mediterranean menu. 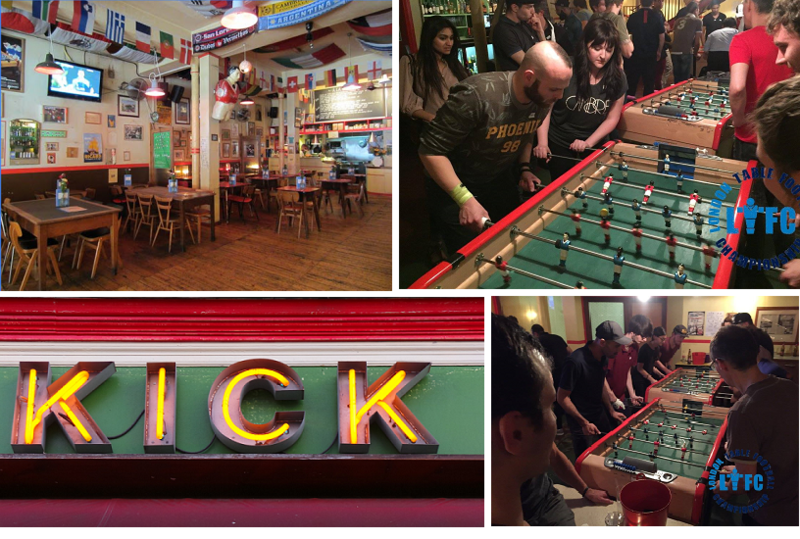 KICK is undoubtedly a must see destination on the UK table football map for all enthusiasts. 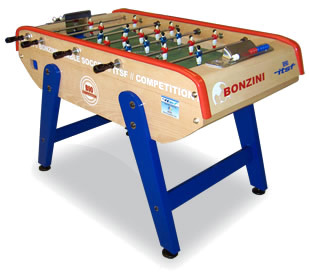 The French iconic cafe baby-foot, table Football is available to purchase in the UK via our proud sponsor "Babyfoot Ltd". The Bonzini table is without question the Royal Rolls of all 5 official competition tables. The only model with telescopic rods makes it the safest table of them all (especially for young children) and its playability combined with its pin shoots have made it a legendary table. The Bonzini tables have such a solid build it has a 15 year guarantee and will last for generations in the family. 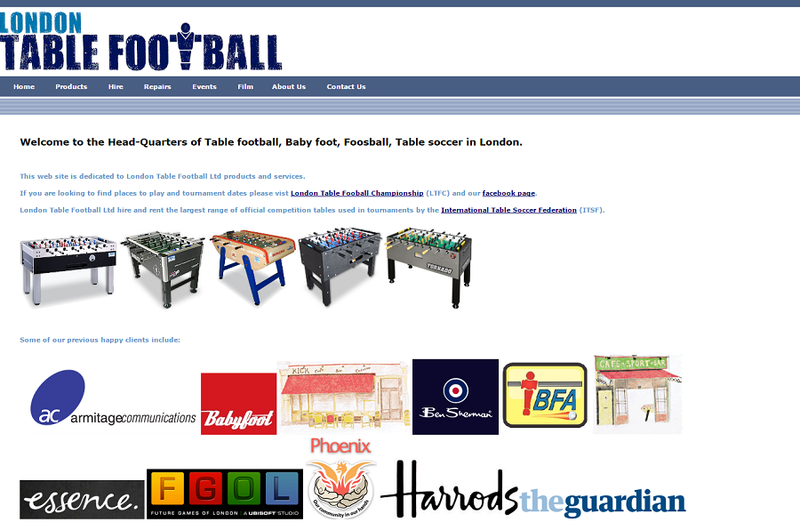 Baby-foot/ Table-Football/ Foosball, has evolved tremendously over the past few years with the creation of the International Table Soccer Federation (ITSF) which has brought this new sport to higher levels by organizing major tournaments across the Europe and the World which you can become a participant. London Table Football Championship players travel to two ITSF BONZINI competions in France each year (Montreuil Open and Bonzini World Cup Series). All babyfoot players are welcome to join us to travel and participate in a BONZINI ITSF international competition. Weights: 2 side feet stabilizers are in steal instead of wood, making the table heavier by an extra 23 kg. Incorporated table leveler: The 4 feet include a screw system ensuring the table can be leveled at any given time. 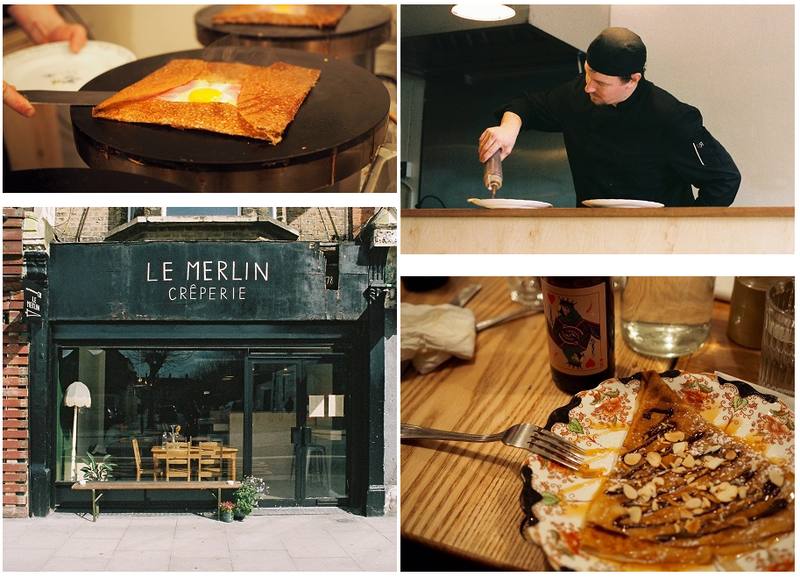 London Table Football Championship is proud to announce new sponsorship with Le Merlin - Creperie! Le Merlin - Creperie is a wonderful place to enjoy the traditional French pancakes from Brittany in all their glory. The "Galette" is a savory dish and the "Crepe" a sweet one. They combine perfectly to make a main course and desert. Le Merlin imports all of its produce from France including it's cider making it an authentic Breton Creperie in London. Le Merlin is generously offering a culinary experience to the next gold medalists of the LTFC Bar KICK tournaments in form of a voucher. Each gold medalist receives a voucher for a free meal +1 guest. 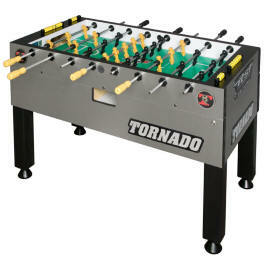 London Table Football ltd is a well established event and hire company which has built up a strong reputation since 2008. London Tablefootball pride ourselves in our commitment to develop the "old game, new sport" by providing meet the professional events for companies and Championship tournaments for players whilst promoting a fun loving competitive atmosphere. 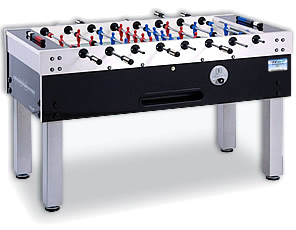 They hire and rent to corporate events, private parties, bars and pubs official competition table foosball machines sanctioned and used in tournaments by the ITSF, the equivalent to FIFA in football. They also offer service and maintenance for tables in poor condition. Repair and/or replace worn out and broken parts (bumpers, springs, bearings, bent or stiff bars). London Table Football employees have participated and coached in International competitions and has an extensive knowledge of all things related to the game, far ahead of its competitors. This has lead us to become a point of call for marketing and film production agencies looking for advise. London Table Football ltd is sponsoring the London Table Football Championship by offering £200 cash prize to the winner at the end of the season.